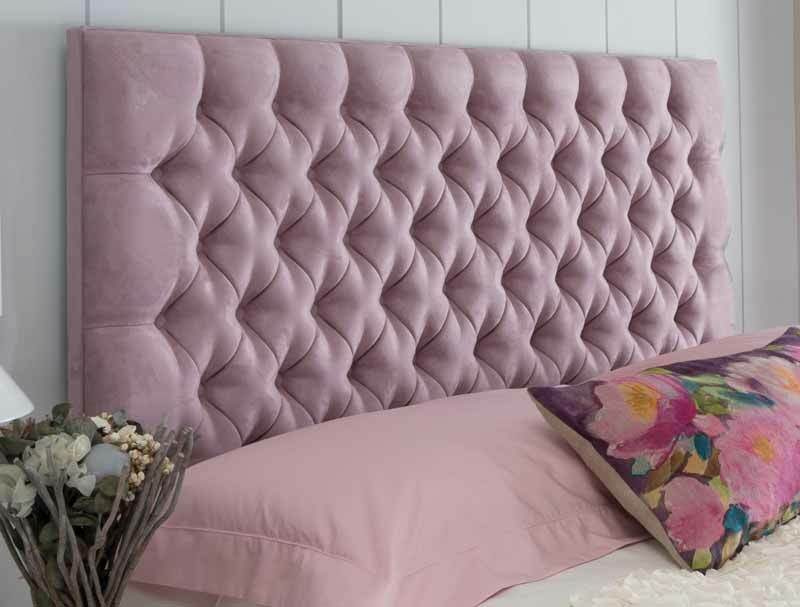 The Swanglen Tiffany headboard is a multi buttoned upholstered headboard that is available in as either a headboard on legs at 24" (61cm) or as a wall mounted headboard. The Tiffany headboard is also available as a upgrade to a diamonte finish where the buttons are replaced with glass like crystals. 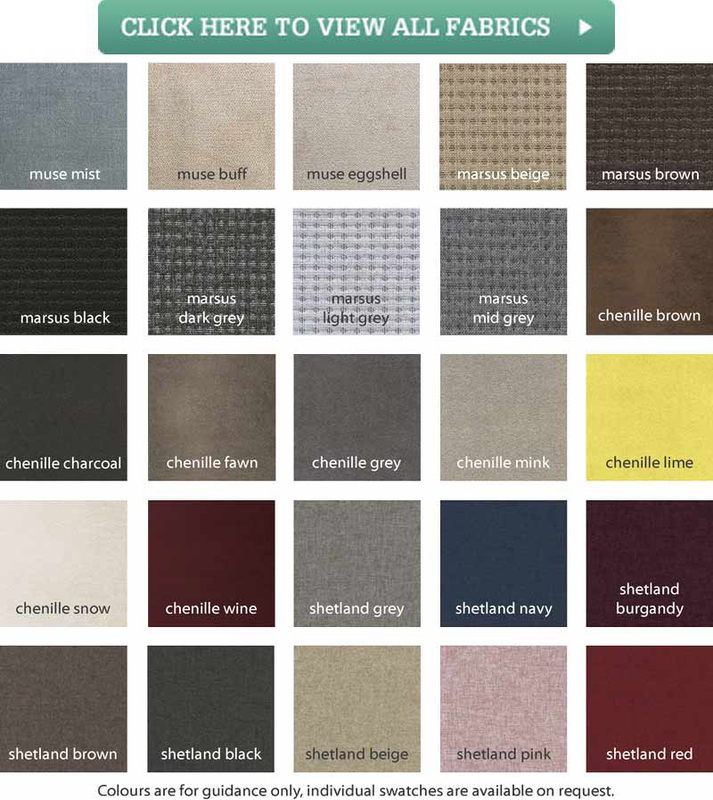 This headboard like all Swanglen headboards fabrics and currently we are offering in a B fabric range. Delivery is normally within 7-10 working days and to your front door. The headboard shown is pictured in Shetland Pink fabric. 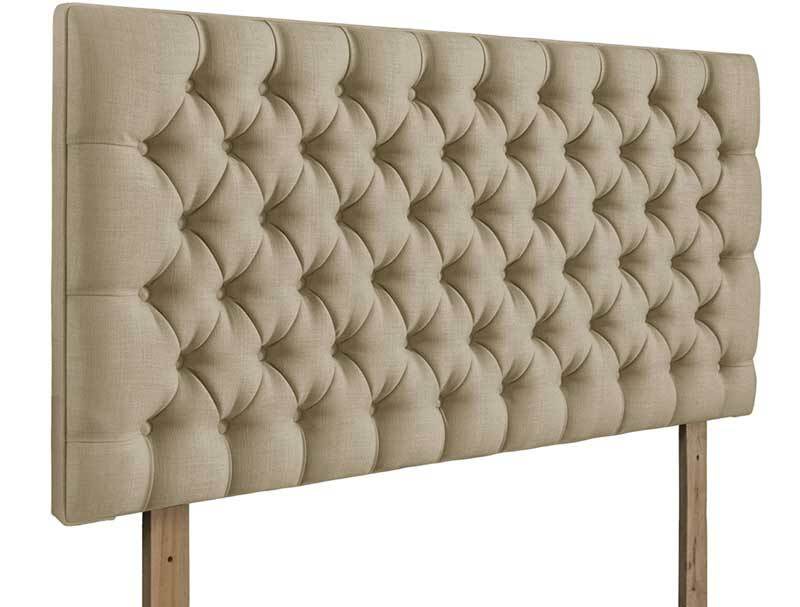 The headboard is available as a standard headboard with wooden stuts, or as a wall fixing headboard.